We now proudly insure more than 90,000 customers! We’d like to thank all our existing policyholders for their loyal and much valued custom. Our continued growth is also testament to our fantastic team of positive people who are all committed to delivering exceptional customer service, plus our great value insurance policies, which are amongst the most comprehensive on the market. If all our customers’ motorhomes, touring caravans, static caravans, holiday lodges and park homes were lined up they would reach from our base in Halifax to Paris – some 485 miles! We’ve also enjoyed a successful year having reached the finals of the prestigious British Insurance Awards, and earlier this month we were shortlisted in three categories at the forthcoming UK Broker Awards. 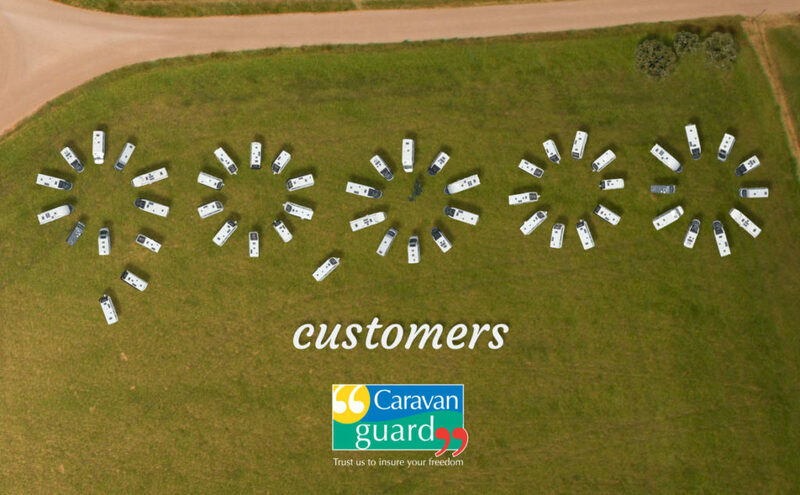 Caravan Guard was established in 1995 by Ryan’s father Peter Wilby and along with our other trading brand Leisuredays has remained a family–run business and one of the leading insurance providers for caravans, motorhomes and park homes. Our touring caravan insurance policy is also independently rated five star by financial researcher Defaqto.